Posted: Mon Jan 18, 2010 2:13 pm Post subject: Genuine poltergeist activity? fake IMO, there are too many ways to pull this off now. for all we know someone is doing all this wearing a solid color which may have been chroma keyed out. There could also be CGI involved. It's a very good screen effect but IMO nothing more. How do I know? Note where the camera is pointing, all action occurs on screen , nothing happens out of range of the camera. Further if you listen to the sound here you can tell there is no activity out of frame at all. This appears perfectly staged and executed. If he was wearing a chroma key suit, he would have to be careful never to walk in front of an object that has been affected and would have to make sure no action occurred behind him. Plus, the light in there is pretty bad. You'd never be able to key out the suit. It does look suspicious that he knew where to put the camera, but I suppose he would if it had happened before. Guess only one person knows for sure. It's good as well but I'm still not 100% convinced. Anyone with knowledge of non digital special effects could make this type of video. It's relatively simple to someone who works in the film industry. Poltergeists have a habit of not performing for the cameras. 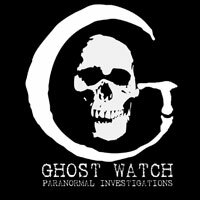 The cases where investigators have used video technology have (with a few exceptions which are questionable) failed to capture poltergeist activity. Anyone who understands and ha done their research on the complex nature of the poltergeist will bear me out on this. The guy on this link is just another YouTube warrior. how much mellow is there? It's more mellow than a rasta puffing on a big doobie whilst listening to Orbital play a Bob Marley Medley at sunset.